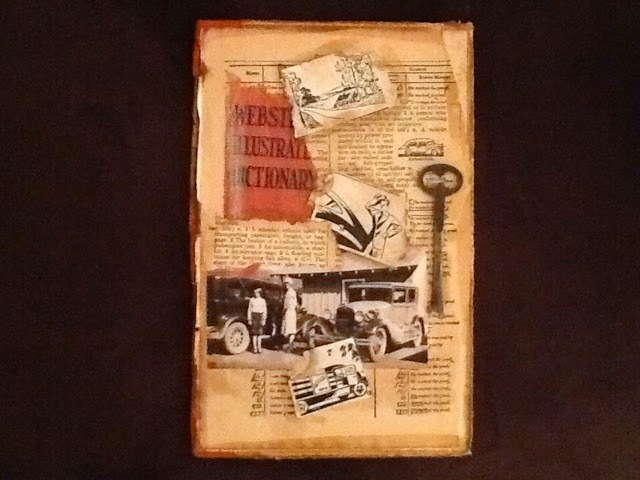 I finished another vintage collage placed on an old dictionary cover, including an old key, old card game pictures and a photo from my grandmothers album of her and my mother. I used walnut ink to distress the edges. The red area is part of the spine.